Raymond Kurzweil (more popularly known as Ray Kurzweil) is an American computer scientist and inventor who is also a notable author and futurist. Ray was born on February 12, 1948 in Queens, New York to Jewish immigrant parents, although he himself is agnostic. His father was a noted musical conductor and teacher and his mother was a visual artist. Ray’s futuristic ideas were formed at an early age when he read many popular science fiction series and proceeded to build model robotic games at the age of 9. He was also interested in computers and built his first device at the age of 12. By the age of 15 he had written his first computer program. He was inspired and mentored by his uncle, a computer engineer at Bell Labs who taught him computer languages. During high school, Ray Kurzweil began to communicate with Marvin Minsky, an expert in the field of Artificial Intelligence at MIT, who also influenced Ray’s decision to enroll there for his graduate studies. At MIT he studied computer science and creative writing. His interest in pattern recognition led him to found a company where he matched high school students to appropriate universities based on the predictions of a computer program he had written. He later sold this company for $100,000. After graduating from MIT, he founded a computer company called “Kurzweil Computer Products” where, along with his team, he invented the “Kurzweil Reading Machine” which recognized any type of font and converted it to speech. At that time, most machines were only able to read limited types of fonts. When this machine was launched in 1976 in association with “National Federation of the Blind”, it was credited to be the first device to successfully use Artificial Intelligence technology. Kurzweil has also ventured into the field of electronic music after forming a strong friendship and professional relationship with Stevie Wonder who had bought one of the first Kurzweil Reading Machines. Ray developed a range of synthesizers and other equipment for Wonder via his newly formed company “Kurzweil Music Systems” launched in 1982. He later sold the company to a Korean music manufacturer Young Chang but remained on board as a consultant, and later as Chief Strategy Officer. Ray Kurzweil started a company named “Kurzweil Educational Systems” in 1996 to develop machines that would help people with disabilities such as visual impairment, ADD and dyslexia to read, write and learn. During the 1990’s he also formed a “Medical Learning Company” that launched an interactive computer simulated learning program for doctors. Some of his other ventures include KurzweilCyberArt.com, a hedge fund called “FatKat” (Financial Accelerating Transactions from Kurzweil Adaptive Technologies) and a movie called The Singularity Is Near: A True Story About the Future, which is an extension of his book of the same name published in 2005. 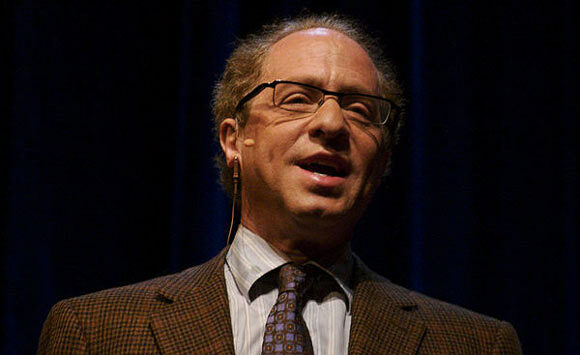 Kurzweil is a well recognized and best-selling author. Some of his publications include “The Age of Intelligent Machines” published in 1990, “The 10% Solution for a Healthy Life” published in 1993, “The Age of Spiritual Machines” published in 1999 and “The Singularity Is Near” published in 2005. He is greatly interested in the field of health and ageing, futurism, genetics, nanotechnology and robotics. At present he is a director of engineering at Google Inc. His staunch belief in life prolonging technology has led him to join a life extension foundation that will preserve his body for a time in the future when technology will make it possible to revive him. There is some criticism on the credibility of his theories; nevertheless he is a world renowned scientist with several honors and awards to his name, and an estimated net worth of $27 million.